The LifeStyle flex range is a perfect flexible lighting solution ideal for a wide range of applications. This 72w cool white version produces a bright clean, paper white light for use under cupboards, around plinths and kick-plates, as it is a gel coated, (IP65 rated) splash proof product it is suitable for kitchens or bathrooms. This brighter 72w, gel coated (IP65 rated) low cost flexible LED lighting solution is not only perfect for use in the exhibition and display industry but it is also great for domestic applications. Cool white LifeStyle flex is ideal for use in kitchens, bathrooms, offices or work areas where a bright clean white light is required. 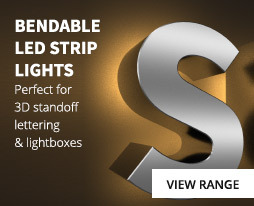 Cool white light does not discolour graphics so it is also ideal for galleries and for illuminating graphic panels. 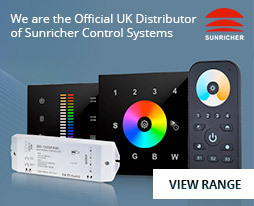 LifeStyle is IP65 rated (splash proof) and is supplied on a 5m roll and it can be cut to length at 50mm intervals, LifeStyle Flex is fully dimmable and compatible with our range of RF remote and wall mounted controllers including our range of SunRicher products. In addition, we stock a variety of DMX512 decoders so that our LifeStyle products can be connected to a DMX system.